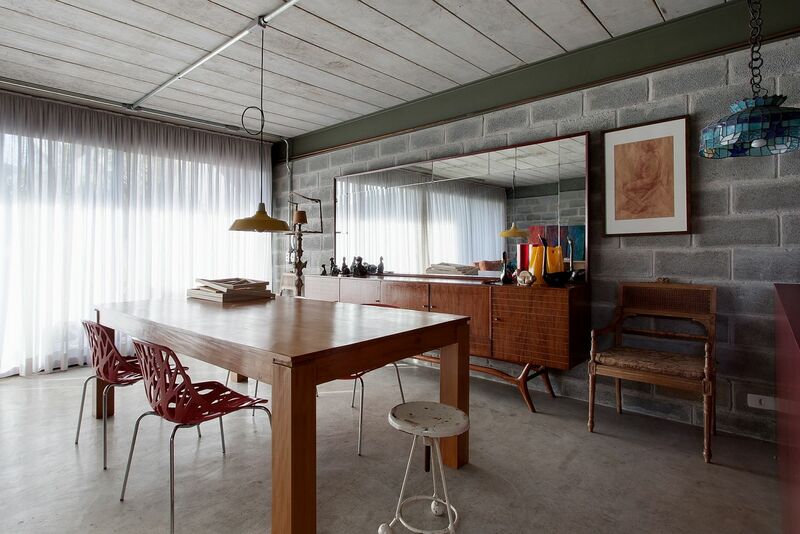 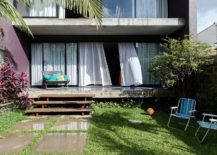 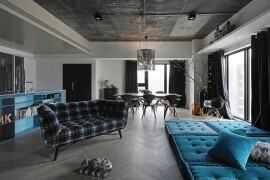 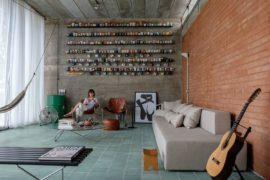 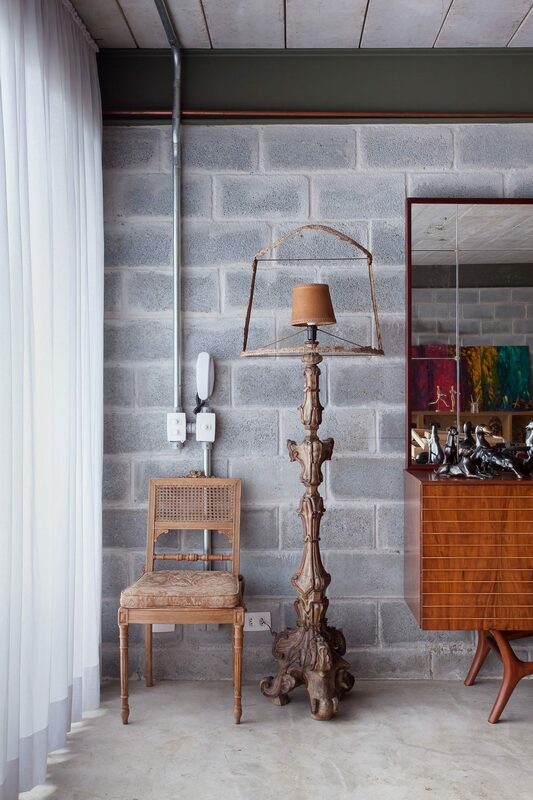 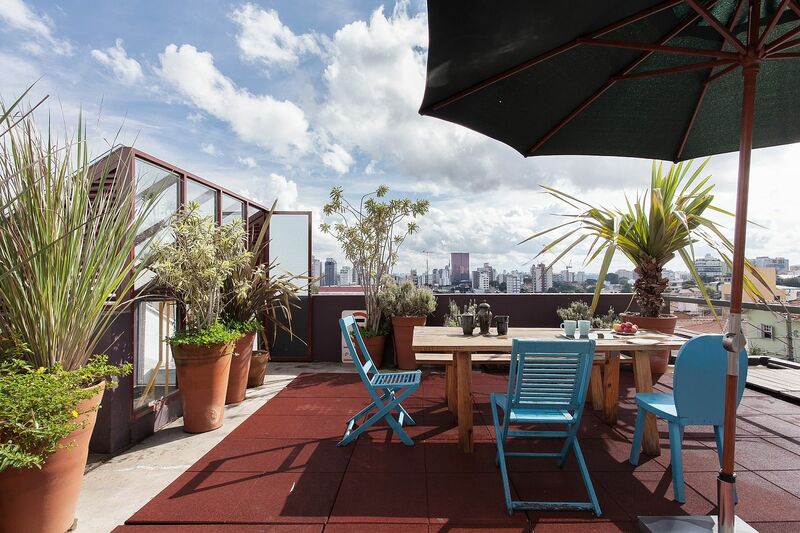 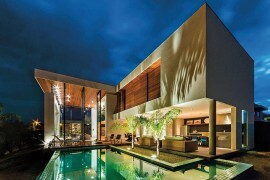 There is an undeniable ‘Bohemian spirit’ that the fabulous Bandeiras House in Vila Madalena, São Paulo exudes. 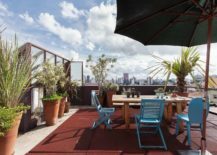 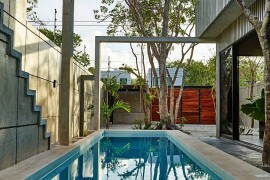 This of course comes barely as a surprise to those who know this unique neighborhood filled with artists, designers and creative souls who spend endless hours conjuring up something refreshingly new. 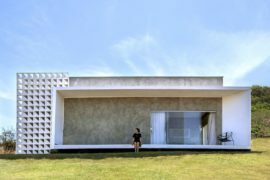 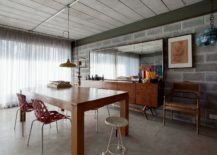 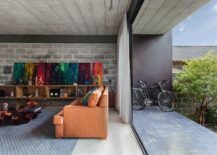 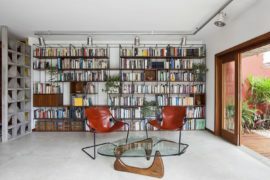 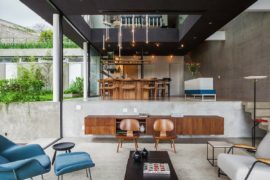 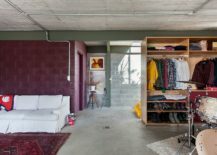 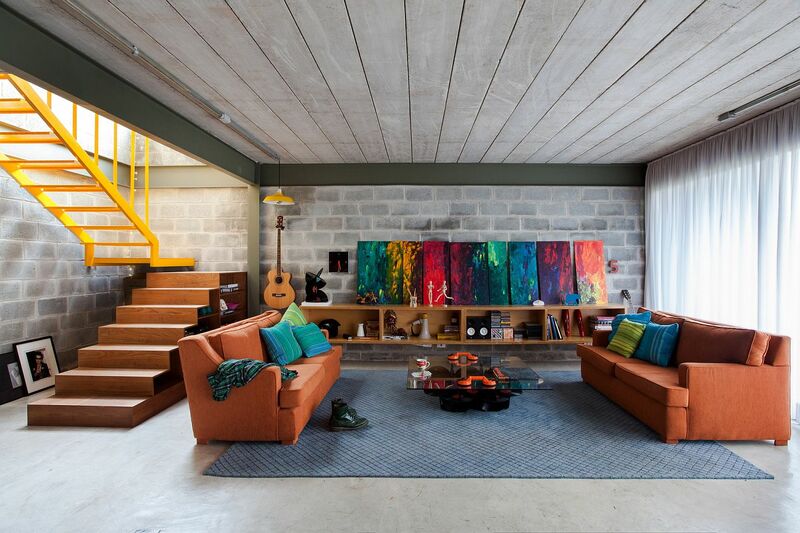 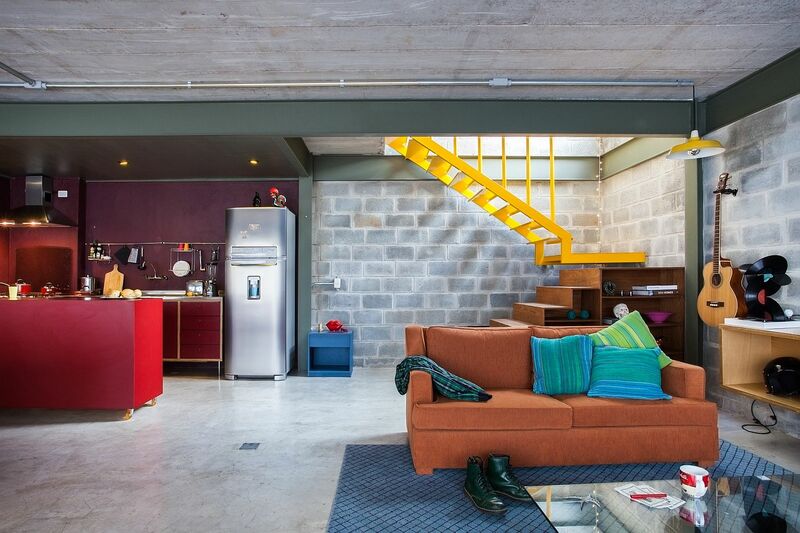 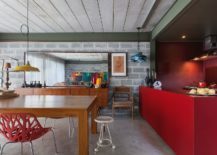 Despite its contemporary aesthetics, the colorful zest inside the house definitely gives it an eclectic-modern vibe even as ARKITITO Arquitetura did their absolute best to cut back on construction costs and wastage of space. 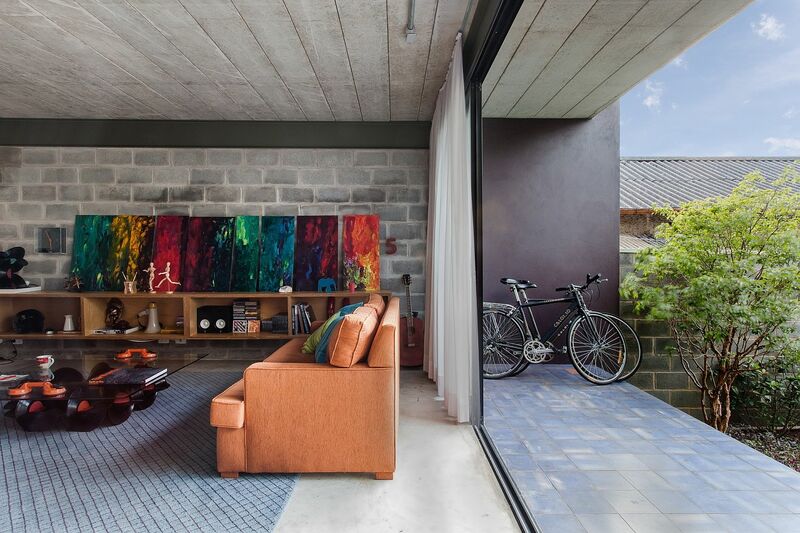 Even with a concrete and steel structure and an interior covered in cement blocks, there is plenty of vivacious brilliance everywhere you look! 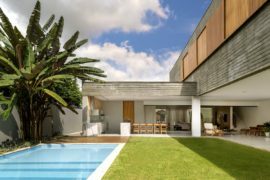 A relaxing front yard with plenty of space and greenery was crafted to not only create a smart, outdoor hangout, but also to ensure that there was ample privacy. 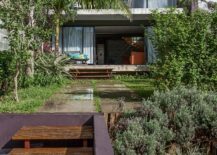 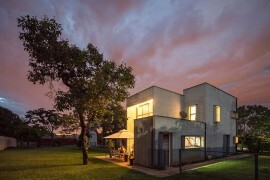 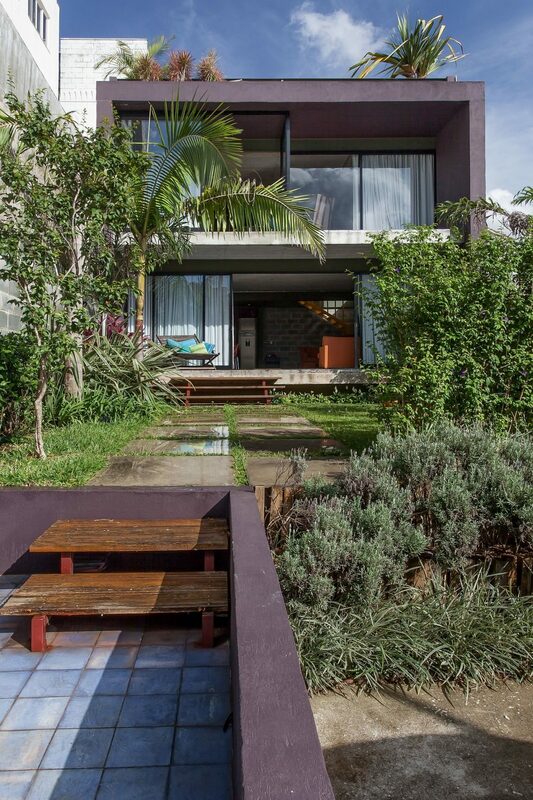 Set deep into the lot, the main house allows family members to escape the constant rush of life in Vila Madalena even while spending sunny evening under the shade. 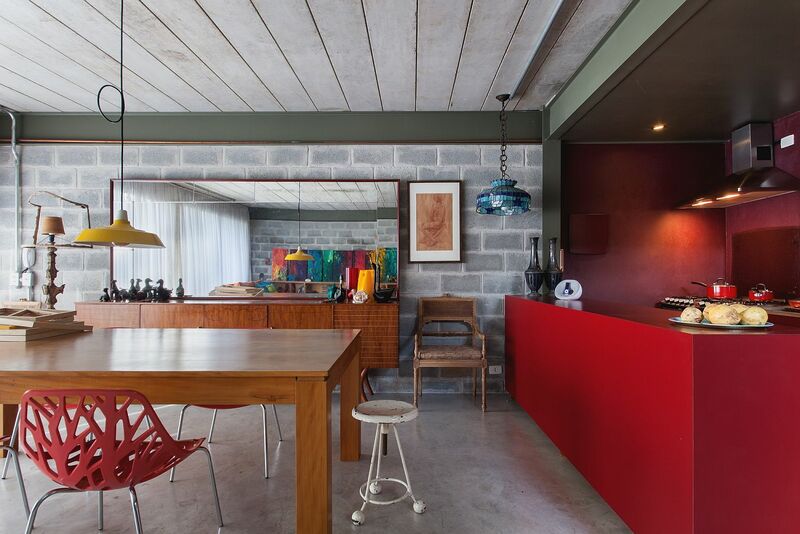 On the inside, it is cement blocks that set the ambiance with some painted in bright red and others left exposed. 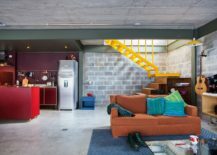 A gorgeous and striking kitchen island in red and an equally dramatic staircase in bright yellow bring even more color indoors.